For use with Shimano 105 FH-5800 rear hubs. Is this compatible with an Shimano R500 wheel? I'm converting from 10 to 11 Speed. No these are no compatible, R500 is 10 speed only, you cannot convert the freehub for 11 speed. Do you know the bolt thread size? I'd like to install the freehub on a Bontrager hub with a M16 (I think, might be imperial equivalent) female thread. We currently do not have one to hand to measure, but would advise all Bontrager hubs usually fit with Bontrager/DT Swiss freehubs and it is probably best to contact Trek to find out the best option. Buenas me gustaria saber si el nucleo FH5800 shimano de 11 V es compatible con el buje shimano 5700 y si no lo es si hay alguno compatible de 11V con el buje 5700,gracias. La parte que necesita es sjs parte # 29211.
i am searching for a new freehub for my dura ace wh9000. but original spare costs too much, i need another part that will fit like original. can you tall if this 105 will be ok? if no, can you advice me other model? 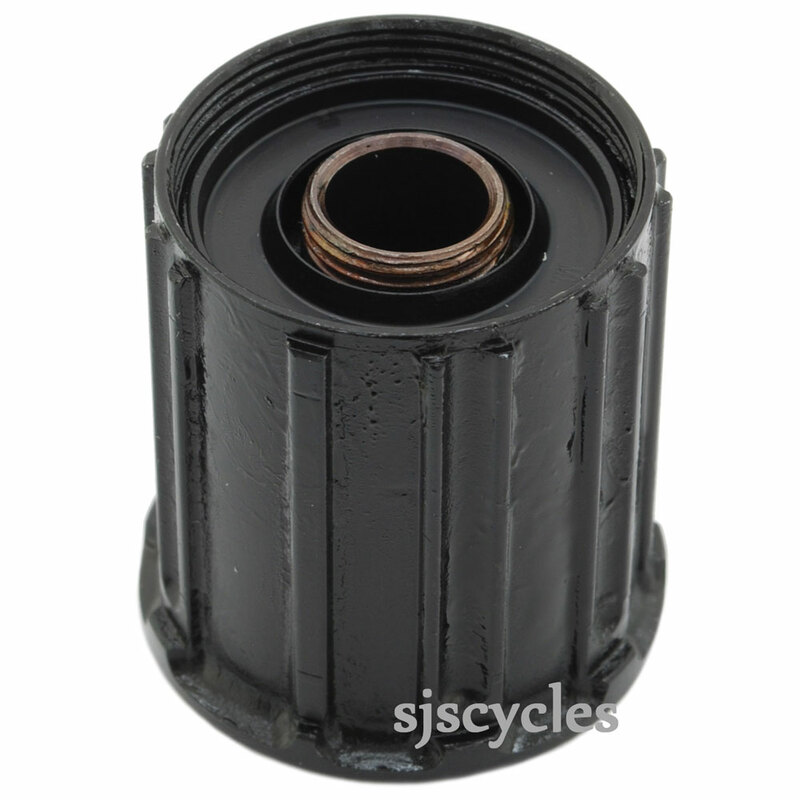 This 105 freehub body is not compatible nor is that particular Ultegra one as that is for the older model. The current WH-6800 freehub body can be used in replacement of the WH-9000 freehub body, these are SJSC part number 36328.